This is the first book to focus exclusively on Indian Nationalist Bose's controversial relationship with Nazi Germany. 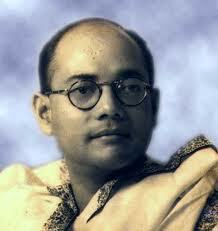 Bose was an Indian nationalist on part with Gandhi. This book sheds new light on both the history of Nazi Germany and the story of Indian independence. On the morning of April 3, 1941, 'Orlando Mazzotta', a man posing as an Italian diplomat, walked up the steps of the German Foreign Office on the Wilhelmstrasse in Berlin, having arrived from Moscow the previous afternoon. The Under-Secretary of State, Dr Ernst Woermann, immediately received him and listened carefully as he spoke of establishing a government-in-exile and launching a military offensive. The government he had in mind was Indian and the target of his offensive was British India. Although Woermann was taken aback by the nature of these proposals, he should not have been. 'Orlando Mazzotta' was in fact Subhas Chandra Bose, an Indian leftist radical nationalist and former President of the Indian National Congress who had escaped a few months earlier from Calcutta and reached Kabul. From there, the German and Italian legations assisted him in reaching Berlin, via Moscow, under Italian diplomatic cover. Bose is one of India's national icons, practically on a par with Gandhi, a hero of anti-colonial resistance against the British, who established the Indian National Army in order to recruit Indian soldiers to fight the imperial power. His activities in Nazi Germany - particularly taking into account their inevitably highly controversial implications - merit scrupulous, scholarly and detailed study, yet till today almost everything published on the subject has been suffused with hagiography. This book is the first to focus exclusively on Bose's interactions with Nazi Germany during the Second World War. Hayes's narrative makes extensive use of German, Indian and British documents, including memoranda, notes, minutes, reports, telegrams, letters and broadcasts, and he also presents the reader with fresh scholarly sources from the German historical archives. His book takes not only the political dimension into consideration but the intelligence and propaganda angles too, including the recruitment and training of Indian POWs captured in North Africa. Emphasis is also placed on the specific roles of key actors including Hitler, Joachim von Ribbentrop, Gandhi, Nehru, Mussolini, Churchill, Sir Stafford Cripps, Chiang Kai-shek, General Hideki Tojo and, to a lesser extent Dr Goebbels, Heinrich Himmler and Count Galeazzo Ciano. Hayes's objective is to reveal a lesser-known aspect of Nazi foreign policy and to challenge and provide an alternative to Gandhi-centric portrayals of the Indian independence movement. His book, augmented by a fascinating selection of hitherto largely unpublished photographs, will appeal to those interested in the Third Reich, Indian nationalism and anti-colonialism and the Second World War.